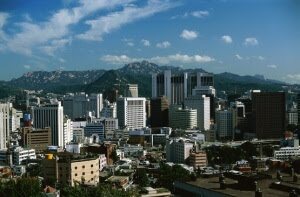 Belina's Adventures: Korean BBQ, Tacos and more..... Perfect for this time of year! Korean BBQ, Tacos and more..... Perfect for this time of year! 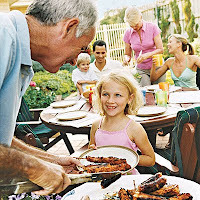 Long weekend, warm weather and everyone's hungry (as always...) and you're thinking of making something "different" for a change.... Something great that will make the meal.... what to do? Here are some suggestions I came up with while thinking the very same thing.... What did I decide on? This super great fusion of Korea-Mex that can't be beat! 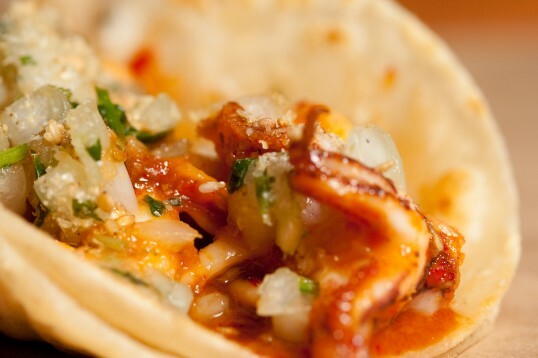 Although Koreans don't do tacos, we do- and it works great! It doesn't matter if you're a meat eater, prefer chicken or are a vegetarian... You can adapt all of these while still having so much flavor, it doesn't matter. This is definitely a keeper (at least for my family) plus you can make it sweet, spicy or volcanic! YUM! Korean food has long been known for it's intricate dishes, Kimchee and centuries old traditions- Korean BBQ is a favorite of ours (lately we've been having Korean / Hawaiian food- which is great too!) and I always have the ingredients around which I can also use for any other Oriental dish since they're similar. 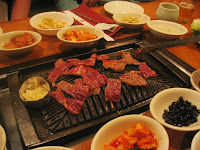 But Korean BBQ i s something else all together.... fantastic and it offers the famous "sweet, salty, hot and sour" palate of flavors that have been shown to be the most pleasing to the palate. I agree! So here are some of the highlights of our Memorial Day BBQ. I do recommend you marinate everything the day before your BBQ, but these flavors and ingredients are quite strong, so 4 hrs or so to marinate would probably work well in a pinch, so don't despair. I am also taking some liberties with the traditional recipes to make them simpler and cheaper to have often, so don't worry about changing this or that- make it anyway, you'll be surprised with your results! First and foremost is "Galbi" or "Bulgogi"= Known as Korean BBQ Beef and typically made from rib meat (with bones removed) which is a flavorful cut of meat; it is cut in thin strips, allowing the marinade to work better and then cooked over coals until it's caramelized. The typical marinade is made from a mixture of rice wine, ginger, garlic, black pepper, soy sauce, brown sugar, lemon juice and sesame oil. If you want the spicy "maeun dwaeji galbi" version, you then add the gochujang based chili sauce. This can be applied to chicken, beef steak, pork and even tofu. These dishes are served with their version of "Pico de Gallo" made from cilantro, green onion, sweet onion and lime juice called "Onion-Cilantro Relish"; and a salad mixed with a chili-soy vinaigrette (I also add some green tomatillo sauce), made from Romaine lettuce, sesame oil, lime juice, lemon juice, sesame seeds and chili sauce. I add some ginger and mung bean sprouts to freshen it up too. Galbi (Short Rib Korean BBQ).- The flavors of the marinade make the meat tender, juicy and oh so good! Put all ingredients in a large bowl and mix well. Add the meat, cover and allow to marinate at least 4 hrs or overnight (better!). Cook on a hot grill until they caramelize. Cut in thin strips so you can use the meat in a taco. Put on a tortilla and top with relish and salad with soy vinaigrette. Serve and enjoy! Dahk Bulgogi (Korean Chicken BBQ).- A great way to make BBQ chicken! Marinade the chicken breasts at least 2-3 hours or more if you like. Cook on a hot grill (or you can pan fry- I've used my cast iron pan on high), until they begin to caramelize. Serve with onion-cilantro relish and salad with soy vinaigrette if you like. NOTE: You can also add fresh fruits to this, like mango, orange or pineapple slices since the flavors complement each other and these fruits are great grilled. 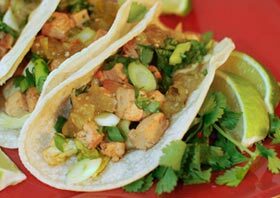 Korean Tofu Tacos.- So flavorful you won't even miss the meat! Allow the tofu to marinate about 1 1/2 hours, keep mixing so you cover it well. You can grill it, cook it on a hot pan or sear it in a wok until it's golden brown, your choice. Toppings can be your choice or you can go classic with the relish and vinaigrette. Korean BBQ Squid.- For those of you that like squid (we love it! ), this is a fantastic way to serve it. Quick, nutritious and very tasty! 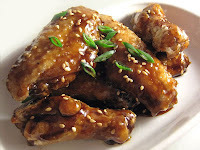 In a bowl, mix the soy sauce, rice wine, sesame oil, brown sugar, garlic, white pepper, orange and lemon juice. Wash the squid, remove the eyes and other inedible parts, skin them. Score the bodies in a crisscross pattern and then cut into 2" pieces. Place squid in a shallow dish. Pour marinade over and leave for 1 hour. Preheat the barbecue grill, barbecue marinated squid till both side turn slightly brown. Do NOT overcook the squid or it will turn into shoe leather! NOTE: You might use this marinade mix on fish and seafood. Onion-Cilantro Relish.- The perfect topper for the tacos and other Korean BBQ favorites. Mix the marinade ingredients in a bowl after you've cut the onions. Add the onions then to the marinade and allow to rest for at least 1 hour or so. Use to top tacos. 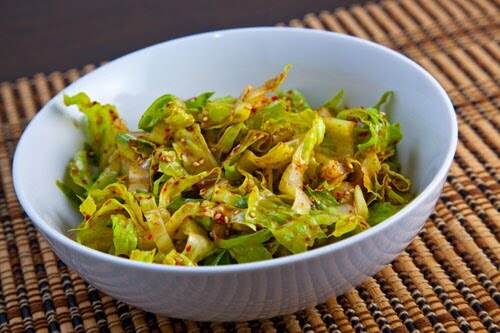 Salad with Chili Soy Vinaigrette.- A spicy and crunchy salad topper for tacos and more! Mix the first 5 ingredients well then add the lettuce, toss well and serve. This doesn't need to rest in the vinaigrette for a long period as this will wilt the lettuce and you want it to stay crispy. All of these could be applied to other protein sources you know? The marinade mixtures could be great on fish like salmon or red snapper. Just take care when using such a tender ingredient and don't marinate too long or it might break the tissues too much. You also don't need to just use it on strips since you can marinate whole pieces of meat, chicken or pork and then BBQ like that too. Or how about skewers or kabobs? I'm sure you can see how many applications this might serve, right? Sweet Marinated Chicken Wings.- I love chicken wings in any flavor.... these make a nice addition to the food mentioned above and maybe for the "tender heart" or the kids too! Heat canola oil in a frying pan over medium heat with dried red chilies, garlic, and ginger. Saute for about 3-4 min, then remove chilies, garlic and ginger. Add rice wine vinegar, soy sauce, brown sugar and honey to pan. Stir to dissolve brown sugar, bring to a boil, then turn heat off to let glaze thicken. When cool, taste for seasonings and adjust. You can cut the chicken wings into the two sections, the "drumstick" and the front wing. I use the whole wings. Wash the wings, pat dry. Toss with corn starch. Shake off excess corn starch and let rest a minute or two. Heat 2″ of oil in wok or pan over med-high heat. The oil must be hot. Deep fry wings for about 7-8 min. Drain on paper towels. Then toss warm chicken wings with the glaze that has cooled. Sprinkle with sesame seeds and chopped green onions. Serve. NOTE: These make great appetizers for any party or have them available in the fridge and watch them disappear! I should also mention that this is the way most "wing recipes" are made like Buffalo Chicken Wings and such, just make a glaze first and set aside while you fry the wings and as they start comin g out of the oil, toss them with a little glaze (the heat will make the sauce stick to them) and there you go, great wings! You can use any sauce (like stir fry some red pepper flakes in a little oil with some garlic and green onions, add some OJ and bring to a boil, then add 1-2 tbl corn startch mixed with 1-2 tbl water and watch it thicken- set aside and then toss with the wings). You can even use bottled sauce or ? So there you go some ideas for a BBQ and quick food ideas. Change the ingredients around, taste while you create and make your own custom sauces and dishes! The more you experiment the easier it will get and the more you'll understand how flavors work together and what you like best. Plus the results will be worth the effort..... So go on, try it! Your family will love it!